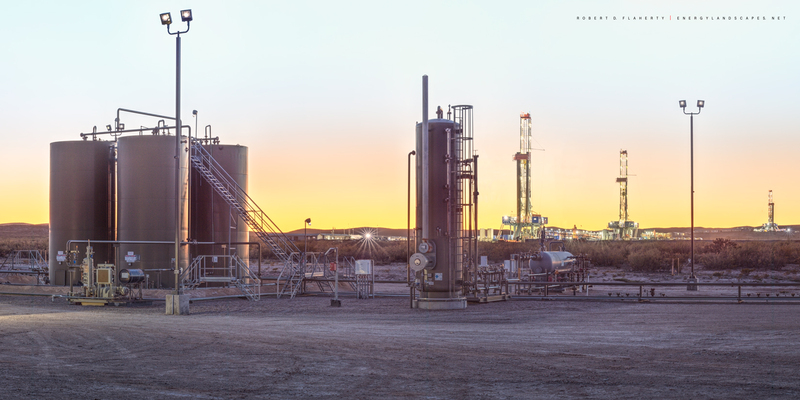 The Delaware Experience features a crude oil gathering battery and associated separator with three Patterson drilling rigs pad drilling directional wells in the background. The image is a 2:1 high resolution panorama taken in the last light of sunset in November 2018. Fine art oil & gas photography by Robert D. Flaherty. Photo © copyright by Robert D. Flaherty.